Frank Sanady, 67, was able to walk out of the trail under his own power, with the help of rescuers. He was there for over 24 hours. BLOWING ROCK, N.C. — A hiker lost in Blowing Rock has been found. He was lost in the mountains and reported missing Saturday afternoon. 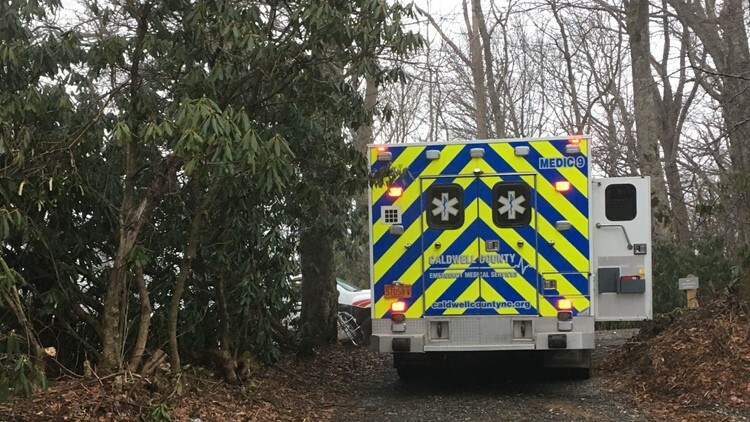 According to the Boone Police Department, Frank Sanady, 67, entered the China Creek Trail on Laurel Lane in Pisgah National Forest around noon Saturday and spent the night in the frigid temperatures. An ambulance on standby, ready to take the missing hiker to the hospital once rescued. An ambulance was on standby at the trail entrance, ready to take Sanady to the hospital. His family waited there to reunite with. Rescue crews found Sanady around 11:30 a.m. Sunday in a heavily rugged area off the trail. Crews said they would have to move Sanady on-foot and that helicopter extraction was impossible. The rescue itself lasted more than five hours due to the deteriorating weather and rugged terrain. Sanady was able to walk out of the trail under his own power, with the help of rescuers. He was rescued and reunited with his family at 5:10 p.m. on Sunday. He entered the trail around noon on Saturday. Sanady was uninjured, but very fatigued. Mary Ann Overcash, Sanady's wife, vowed her family will never hike alone again. "It's not smart. Don't hike alone," Overcash said. "Take care of your life. It's a blessing and a miracle, truly."